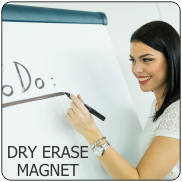 Peel n Stick magnet has a pressure sensitive PSA surface on the front and the back has the magnetic clinging force. Adhesive is not intended for extended outdoor use. Heavy material is 0.060 inches, suitable for most uses. 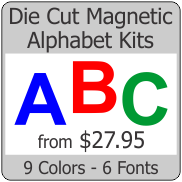 This is the heaviest magnet for the most demanding uses, about the thickness of two dimes.